The new Hartridge Buddhist centre at Upottery includes a double-height lobby in the middle, with living accommodation on two levels on the right hand side and a shrine on the left. 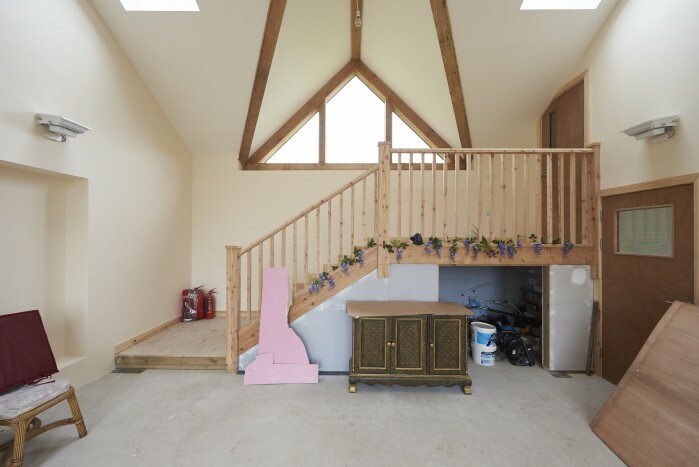 The ground floor has traditional mass concrete strip foundations and beam and-block floor. Above floor level, the construction differs between the living accommodation and shrine room. 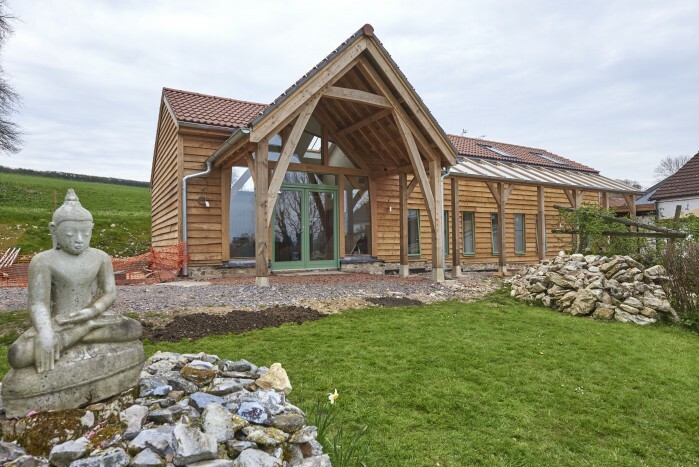 The living accommodation was built as a timber frame with double-up stud partitions in-filled with hempcrete and rendered in lime. 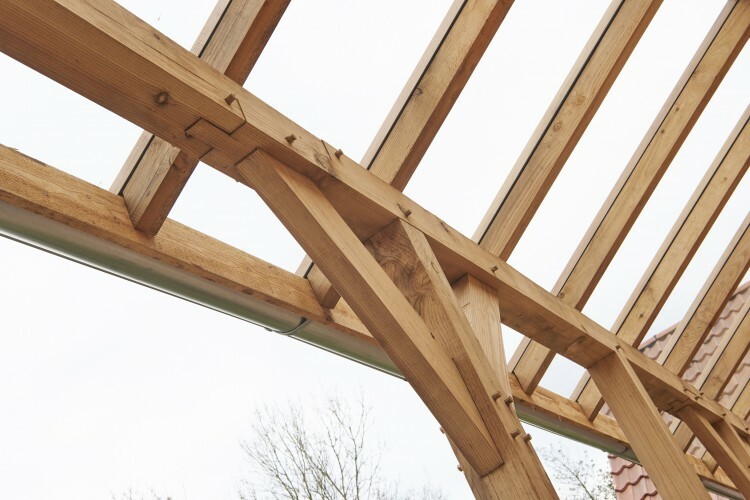 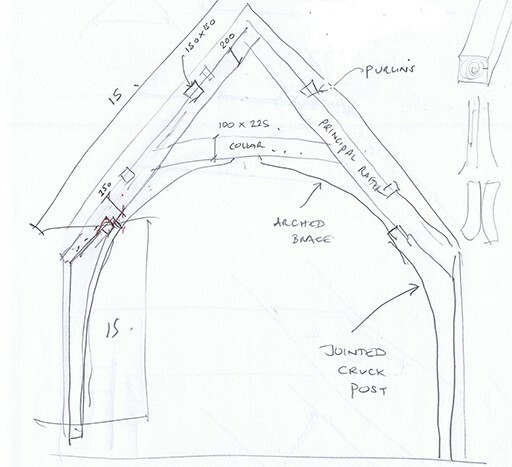 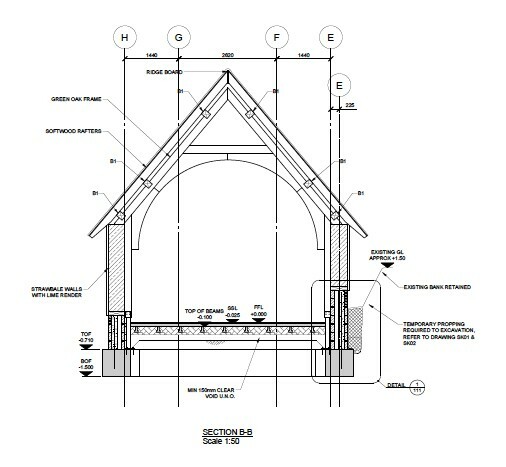 The shrine features a series of jointed cruck post frames in green-oak, straw-bale walls and lime render finish. 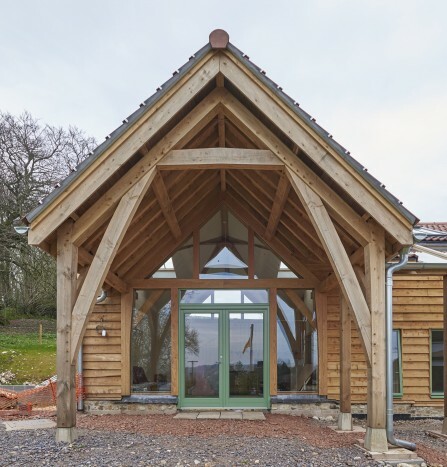 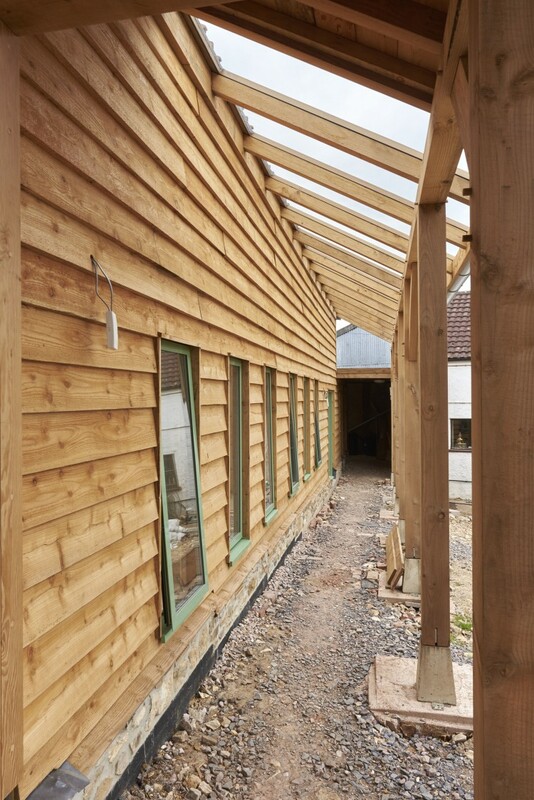 Both living accommodation and shrine have a traditional timber roof with exposed purlins in larch and Douglas fir. While designing this structure, RISE kept it simple so that the centre could be involved within the construction and used materials which are natural to provide a sustainable, environmentally friendly solution.